I forgot something on my order. Can you add it and charge me? Unfortunately we cannot do this. For security, our e-commerce platform does not store customers' payment information, so we cannot add to your order and charge your card for the additions. If you forgot to order something and your order has not shipped yet, please place a second order and request in the order comments that we ship the orders together. We will refund your shipping on the subsequent order, up to the actual cost of shipping both orders together. I want to cancel or return my order. Can I use more than one coupon code with my order? I have a problem with my wholesale account. Please see our Wholesale Walthrough video for common questions. If you do not see the orange wholesale indicator on the top of the page, it means your account has not been activated yet. Contact us if it has been several days since you applied. When ordering, please patiently keep in mind that all of our icons are hand-crafted and made to order. If you need your order by a certain date, include it in the order comments and we will do our best to accommodate your request. Why did you ship my order with a different carrier than I ordered? What should international customers know about shipping? We are always striving to reduce the costs of international shipping. We offer realtime shipping quotes for USPS, UPS, FedEx, and DHL, so you can choose your preferred shipping method. Please note that some shipping methods may incur extra fees, taxes, or duties that are not part of the shipping that you pay on our website. Unfortunately Legacy Icons has no control over these matters, and we cannot estimate what they will be. We regret any unexpected costs and we are continuing to look for ways to improve the experience of our valued international customers. Please contact your chosen shipping carrier with questions. What is the difference between Classic and Masterpiece styles, protective wax, etc.? Click here to learn more about icon styles and finishes. What units do you use on your website? We generally use US customary units, except when noted otherwise. Icon dimensions are given in inches. Incense is weighed in ounces and grams. A note regarding incense: amounts of 1 ounce or more are sold by volume of our standard canisters. We do our very best to give accurate figures, but weights depend on the amount of incense that can fit into the container. For that reason, we sell our incense by estimated amounts, rather than the nominal container capacity. For example, a nominally 4 ounce container fits about 2.25 ounces of incense; we list the container as 2.25 ounces. How do I hang an icon with a keyhole slot? Drive a nail into the wall where you want the icon to hang. 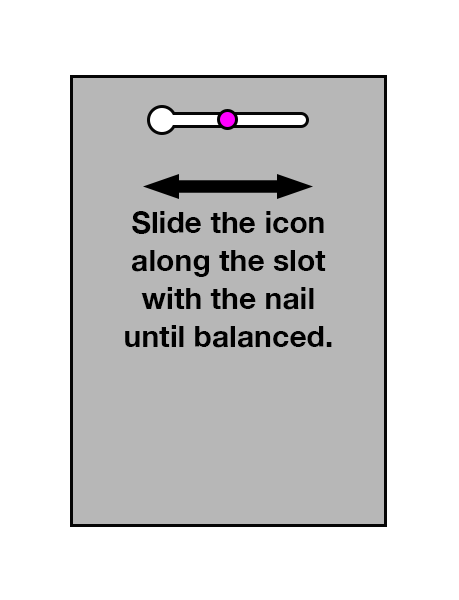 Hang the icon on the keyhole (horizontally) and adjust it side-to-side until it is balanced. Where are Legacy Icons made? Our icons are hand-crafted in Borculo, Michigan, USA. All of the materials that go into our icons are made in the USA. May I visit your office? Visitors are welcome, but please understand we are busy! We ask visitors to come between 11 AM and 2 PM if possible, and to keep visits short. We also keep a limited selection of in-stock items that can be purchased on-site. Our address is: 9634 Port Sheldon Street, Borculo/Zeeland, Michigan 49464. How long will a Legacy Icon last? Many icon reproductions will begin to fade within years, and in poor conditions, even sooner. This comes from low-quality printing that does not begin with archival quality in mind. Legacy Icons are different, and can last for a century or more without fading. The founder of Legacy Icons, David DeJonge, is a photographer by trade, and his portraiture has been displayed in such locales as the US Capitol and the White House. He has spent a career developing the very best archival techniques for his museum-quality process. When he became Orthodox, he brought this same level of quality to icon reproductions. Our icons are quality-guaranteed, and if you are not satisfied with your icons, please contact us and we will make amends. Will you make an icon that is not on your website? In addition, the image file you provide must be of high enough quality. Generally speaking, a size of 1 megapixel (1024 pixels) is the minimum size we can accept, or for a printed size of 11x14 or larger, 2-3 megapixels or more. You can place an order from this page. Please contact us to discuss any specific needs. It is not typical to sell "pre-blessed" icons. It is customary to have icons blessed by one's parish priest, who can explain the local practice in more detail. Several of our other employees are also Orthodox Christians as well. Do you sell icons to non-Orthodox Christians? We do not "screen" our customers. But we do take our work seriously, and we hope that the holy icons are treated with the respect as holy objects. It is our desire that all Christians, and all people, discover this truth for themselves. At the Seventh Ecumenical Council, the Universal Church proclaimed that the venerations of icons is not only acceptable, but a necessary testament to the incarnation of Christ and His work in the lives of His Saints.